Skin is your protective coat of armor. It shields organs and tissues within and regulates body temperature and detects hot, cold and dangerous. Don’t have time for intensive skin care? Pamper yourself with the basics because good skin care routine including sun protection and gentle cleansing can keep your skin healthy and glowing for years to come. Here are some tips that everybody can perform at home. Your skin needs exceptional care so make healthy skin care a priority. The most important way to take care of your skin is to protect it from the sun. A lifetime of sun exposure can cause wrinkles, freckles, age spots and rough dry skin that resemble leather. Too much sun exposure can also cause several of serious skin diseases such as skin cancer. Avoid he sun between 10 AM and 4 PM. This is when the sun’s rays are the strongest and can cause sun burns. Wear protective clothing. Cover your skin with tightly woven long-sleeved shirts, long pants and wide-brimmed hats. You might also opt for special sun-protective clothing, which is specifically designed to block ultraviolet rays while keeping you cool and comfortable. Remember also to use sun glasses as strong sun can easily cause wrinkles around the eyes as we frown to see. 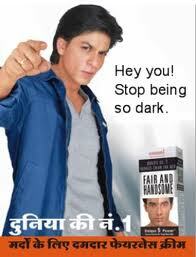 Smoking makes your skin look older and contributes to wrinkles. Smoking narrows the tiny blood vessels in the outermost layers of skin, which decreases blood flow; oxygen narrows blood vessels and damages the elastic fibers. This depletes the skin not only from oxygen and nutrients, such as vitamin A, that are important to skin health but also damages collagen and elastin fibers that give your skin its strength and elasticity. In addition, the repetitive facial expressions you make when smoking such as pursing your lips when inhaling and squinting your eyes to keep out smoke does also contribute to wrinkles. If you smoke, the best way to protect your skin is to quit. Ask your doctor for tips or treatments to help you stop smoking. Daily cleansing and shaving can damage your skin, so keep it gentle. Limit bath time. Hot water and long showers or baths remove oils from your skin. Limit your bath or shower time, and use warm rather than hot water. Avoid strong soaps. Strong soaps can strip oil from your skin. Instead, choose mild cleansers and use shower oil in the shower. Moisturize dry skin. 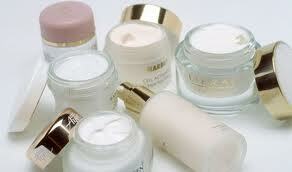 Find a moisturizer that fits your skin type and makes your skin look and feel soft that you can use every day. 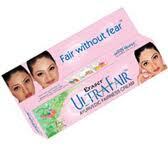 Unless you have acne, your skin needs moisturizer and this will smooth, soften and protect your skin. 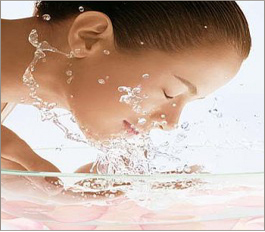 When you care for your skin, use a mild natural cleanser and warm water. Synthetic detergents and hot water are harsh. Cleanse the face by gently massaging with fingertips, rinse well and lightly pat dry. Healthy food will help you look and feel your best. Eat plenty of fruits, vegetables, whole grains and lean proteins. The association between healthy diet and acne isn’t clear, but research shows that a diet rich in vitamin C and low in fats and carbohydrates may promote younger looking skin. Uncontrolled stress can make your skin more sensitive and trigger acne breakouts and other skin problems. To encourage healthy skin and a healthy state of mind you can set reasonable limits, scale back your to do lists and make time to do the things you enjoy. So about the cliché that beauty begins from within is actulally true. Healthy looking skin is a reflection of your overall well being. 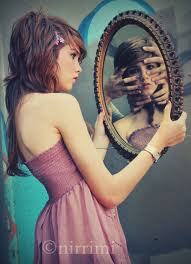 As the body’s largest organ, it is your skin’s mirror showing whats going on in your body. When you feel good, you look good. So here are some small highlights that everybody should follow. Water: for clear healthy skin, one must drink 8 glasses of water each day. The benefits of drinking water for your skin and health are many. Healthy food: eat a variety of fresh fruits and vegetables daily. Include also other nutritious foods such as whole grains and high quality low fat protein. Cold water fish such as salmon, herring and mackerel provides healthy Omega3 fatty acids that are important for health and skin. Beauty sleep: they call it beauty sleep for a reason because lack of sleep will show on your face so aim for 7-8 hours of sleep every nightly. Regular exercise: Get a minimum of 30 minutes of exercise most days of the week. Stress management: Make time for relaxation. Many find yoga and tai chi to be helpful. Your skin is unusually dry and rough. You have blackheads and whiteheads. You are probably lacking sufficient vitamin A. You could also be suffering from the deficiencies in iron, iodine and the B Vitamins. Adequate amounts of protein and vitamin C are also important. The vitamins of the B group are important in producing beautiful skin. Vitamin B1 aids skin health by helping to keep the circulation normal. Vitamin B2 or riboflavin deficiency can lead to brown pigmentation or liver spots on the skin. These ugly spots usually disappear if generous amounts of vitamin B2 are given over a period of six months. Severe riboflavin deficiency can lead to oily skin and hair and small deposits of fat under the skin of the cheeks and forehead and behind the ears. More severe deficiency of riboflavin causes the skin under the nose and at the comers of the eyes and mouth to crack and become sore. Vitamin B6 or pyridoxine deficiency can result in dermatitis or eczema. Niacin deficiency can also cause an eczema type of skin eruption with brown pigmentation, largely on the face, forearms and legs. Deficiency of pantothenic acid, para-aminobenzoic acid, and biotin: This also leads to types of eczema. The symptoms will go away completely when these vitamins are generously added to the diet. It is clear that Vitamin B plays a pivotal role in maintaining a healthy skin. So, diet that is rich in Vitamin B can go a long way in skin health. One of the important food in this connection is brewer’s yeast. Even the person whose skin seems smooth and healthy usually notices improvement in texture and glow, a week after adding two or more tablespoons of brewer’s yeast to the daily diet. Persons with eczema should, for an entire month, take a tablespoon of yeast stirred into citrus juice or water after each meal, between meals, and before retiring.